You’ve heard the saying, “It’s always darkest before the dawn.” It’s something my mother used to tell me, and as I grew older I thankfully learned she was right. 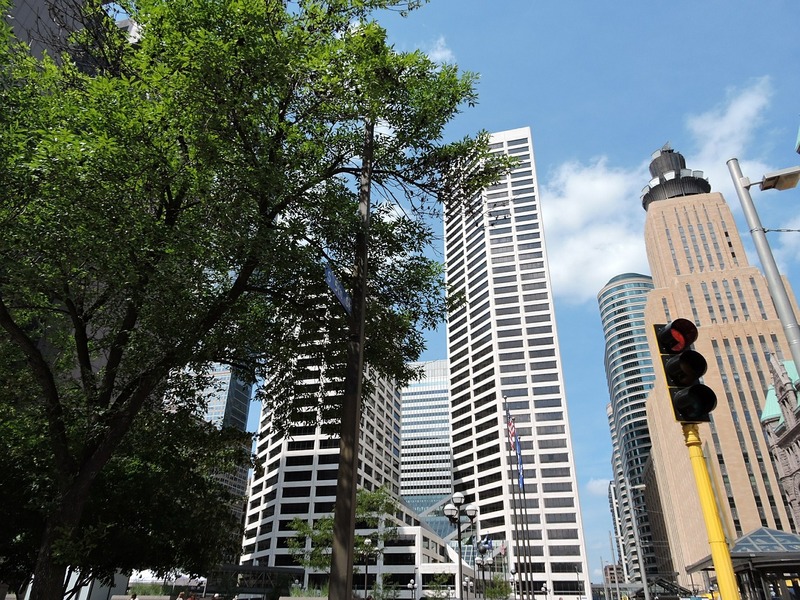 Shining light on recovery in Minneapolis. Throughout my son’s addiction, when not only the nights seemed dark but the days as well, our family always looked for the bright spots – the bright spots we hoped would be ahead. Sometimes, we would get a small bit of sunlight and it would make us hopeful for more. Then it would dim and darkness returned. As his days became darker and the light was less and less, our family learned to move forward. There remained a shadow of his addiction no matter what we did, but we found our own guiding lights and the hope that each new day would bring – if not for him, for ourselves. Addiction is a time warp for the addict as well as their family and friends. We wonder when it will end with the hopes that it becomes a transition to recovery as opposed to the unthinkable end to end all ends. The pivot from addiction toward recovery often comes on unexpectedly but no less gratefully. When night turns into day, it is a miracle of sorts. One year ago today, our son was in the depths of his addiction. He had been to treatment several times. He had recently relapsed horrifically just a few months after an in-patient program and halfway house transitional program. I feared we were coming to the end – not the good kind of end. I could not believe how bad it had become. It was as dark as it had ever been … and then, he was ready to stop being an addict and was ready to change. His recovery began on July 11, 2014, and continues forward. We are so happy for him. And, we are immensely proud of him, too – we are learning that recovery is hard work. Recovery, while the opposite of addiction, is not necessarily all joy either. It too has dark days and nights. It takes an effort to see the light, and some days are easier than others. Most recently, I’ve witnessed some of the brightest days of our son’s recovery and it fills my heart with joy because not only is he sober, his personality is transforming in such a positive way. Just last week, for example, he asked if he could go downtown with me over the noon hour. I had a client lunch and he thought he’d shop for his sister’s birthday present. I said, of course, however, I was leaving shortly. He doesn’t like to be rushed, so he hemmed and hawed about whether he’d be ready. Then he was concerned about how long the family dog might have to be home alone. I nudged him to make a decision one way or the other neither choice being right or wrong. Ultimately, he decided to come with me, but was non talkative during the ride as if he weren’t so sure he was glad to be going. Now in the past, this might have been one of those get a ride with mom and then disappear for days at a time doing you know what. We’ve come a long way since then. Not only is there trust, he no longer yearns for the rush of scoring drugs and using, and he no longer wants that transient, lonely lifestyle. Phew – such a relief. After my lunch, and to my surprise, he told me he’d run into one of his old tennis buddies from high school. They were grabbing lunch from one of the food trucks AND he invited me to come join them as they caught up. NEVER, in a very long time, has he encouraged me to participate in conversations with friends. Today, he was including me. A couple of blocks up, I joined these young men as they chatted. We laughed, talking about the tennis days, and shared news of their siblings. My son was animated, smiling, laughing, conversational … he was happy. Not only had he made the effort to go downtown, he got the unexpected positive reward of reconnecting with a former friend, and the chance to share updates of his own about going back to college, having a part-time job, and being sober. Last week, the sun rose and shined as brightly as I’ve seen it in a long, long time. At many points over this first year in recovery, I have sensed the positive transition from addiction; each one has been amazing and this latest one was as affirming as any of them – my son is recovering! Positive Change is in the Air! Today is eight months sober for Midwestern Mama’s son! Not only is trust growing, she is trusting herself more and seeing the #PositiveChange that come from trusting that things will turn out as they are meant to be. Encouragement is one of the best things we can offer each other, especially for those of us who are parenting young addicts – in active use or in recovery. It’s often the most uncharted territory we’ve ever experienced, so that’s why encouragement is important; but I’d say that’s where unvarnished truth is paramount as well. We need to hear the good and the bad because the truth in neither good or bad – it is simply the way it is currently and it gives us an opportunity to see the possibilities ahead. In each of my interactions with the Our Young Addicts community, I offer been-there-done-that perspective. I’m a naturally upbeat, positive person but don’t confuse this for being naive or oblivious to the challenges that addiction and recovery bring. When we discover substance use and then begin to experience addiction, we focus on “if they would just go to treatment” or “if they would just stop using.” Sometimes they do. Sometimes that happens right away. Quite often, it takes time – lots of time and consequences – before they are ready. During this process many mantras surface, including the familiar “letting go” where you and a higher power connect. Then, one day, recovery begins. With that comes a whole new slew of hopes and expectations. Once again, the “letting go” mantra surfaces. This time, letting go is about three-way trust – you, your higher power and your loved one. This third component – your loved one – is so much stronger than you ever imagined. Trusting my son means trusting myself and also trusting that things will work out as they are meant to. Whoa! What a difference. As I write about the many positive changes taking place for my son and our family, it’s also had its challenges and concerns. Recovery is not easy for any one of us, but trust me we much prefer this stage. In particular, my son has a good deal of social anxiety. He pulls it together for school and work, but frankly, it exhausts him and overwhelms him. Initially, he reconnected with some of his high school friends (now in their early 20s and having moved on with their lives) but has sense withdrawn from them. He has very little social life – and mom, dad and little brother day in and day out are a poor substitute for the fun and interaction that a 22-year-old craves. Because he doesn’t embrace 12-steps, there are fewer options for support meetings. And, because he doesn’t like groups in general, he doesn’t want to attend alternatives such as Health Realization or SMART Recovery or Sober Meet Ups. It’s frustrating to live in what’s affectionately known as the Recovery Mecca or Land of 10,000 Rehabs (Minnesota!) and that he doesn’t want to be part of this community. At work, he’s convinced that no one likes him and that his coworkers conspire against him. He’s certain that’s why he doesn’t get the good shifts. Likely it’s not true, but it feels miserable all the same. All this pessimism worries me. It feels like an anxiety attack or depressive strike in the making. It feels like a relapse could trigger. Sometimes, I realize that it could be even worse – suicide or overdose. Honestly, I don’t sense this is eminent or I would be taking extremely proactive steps. I do, however, know that I have to be aware and that I have to trust myself to intervene or to let go. I pray a lot. And as you know, I write and reach out to others. I am blessed with a wonderful support network and this community. Thank you. Thank you. Thank you. With all that aside, let me share with you a recent positive change, however, and I am crediting it all to the growing trust that we’re experiencing! The other day, my son begrudgingly went to his workplace party – a Monday evening dinner with games and prizes. All on his own, he styled up in a sharp sports coat, button-down shirt and leather dress shoes. (Most days, it’s sweat pants and a hoodie.) Not only did he enjoy the meal, he played cards and even won one of the raffles, and he got to meet and chat with the owner of the company. He stayed the whole evening and was in an upbeat, chatty mood when he got home. The next day, he worked a lunch shift (since he’s on spring break from school and had extra hours available). He was tipped well and again came home in a positive mood. Today, he took the dog out for a walk – something that subzero temps have precluded. The sunshine and mild temperatures spoke to him. I can only believe that some Vitamin D will do him some additional good! And, he shared with me that one of his friends is turning 24 today and that he had reached out to say happy birthday. I was so proud of him for doing that. Further, the friend lives a couple of hours away and my son asked if it might be possible to borrow the car to go visit him sometime. Absolutely! It’s funny because a week ago I had said to my husband that I’d probably trust our son to drive to visit his friend and stay the night. We agreed we could trust him, but I was hesitant to suggest it. Instead, he came up with the idea on his own – thus, he likes the idea! This really encourages me. This is a friend who stuck by him through his worst days and who is himself a positive role model. I’m encouraged and trust this is a turning point. Trust is one of the greatest gifts of recovery. During March, Midwestern Mama contemplates the meaning of trust and highlights daily examples of the trust that is growing in her family. Whenever the word trust comes up, most people mention things like honesty, integrity and confidence. We also tend to talk about trust as something that is earned. And, boy oh boy, if trust is broken, that’s a major no-no – for certain, that’s when rebuilding trust takes time to earn back. One of the first signs we noticed when my son was struggling during high school was that we could no longer trust him. He’d say one thing and do another. He’d never be where he said he was going to be including places like work or school. (Amazingly, he almost always was at sports practice – it was more a matter of what he did or where he went before and after!) This dishonesty also encompassed stealing and outright lying. Who was this young man? Why was he breaking our trust? As we would find out, trust and honesty disappeared as his drug use escalated. He had never given us reason to not trust him. It was devastating. With kids, sure trust is earned; but is earned as they grow up. I think we have a different set of standards for our children than we have for strangers or even acquaintances. Of course we trust family, right? Perhaps, that’s part of why it’s doubly difficult to rebuild broken trust. In early recovery, it’s easy to trust too soon. Before they are ready for that responsibility and accountability. Before our wounds are healed. We think by granting them trust again that it will give them confidence. Instead, it can back fire especially with relapses. That’s even more devastating. However, when trust is demonstrated, well, that’s when we begin to believe. That’s when trust grows! Today, I trust my son is saving money and paying off debts incurred from his years of addiction. Today, I trust my son will take his Suboxone as prescribed. Today, I trust my son has a job and will be at work. Today, I trust my son has the tools and desire to remain sober and resist relapse. Today, I trust my son will be home each night unless he’s made other arrangements. Today, I trust my son will stay sober when he experiences disappointments or tough times. Share with us the examples of trust you have right now with the young adults in your life – whether in active addiction or in the glory of recovery.